New Zealand Tourist Attractions & New Zealand Activities: New Zealand's spectacular and varied natural environment, as well as its friendly and adventurous people, provides excellent opportunities to participate in a huge range of sightseeing, cultural, and outdoor activities. 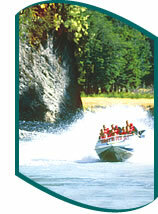 Zealand offers a huge range of outdoor activities. A water-lover's paradise, New Zealand's beaches, lakes and rivers provide some of the most exciting kayaking, surfing, jet boating, fishing and sailing in the world within a short distance. New Zealand has an increasingly lively and multicultural arts scene. As well as enjoying the unique Maori culture, you can check out a variety of museums, art galleries, theatre, music, and dance. Spectacular geysers, beautifully maintained gardens, zoos, casinos, and excellent boutique wineries are just some of the attractions you can enjoy in New Zealand. New Zealand provides a huge range of sporting and educational institutions. There's also a wide selection of wonderfully romantic wedding venues and first-rate conference facilities. New Zealand has fascinating native wildlife, including kiwi, tuatara, rare dolphins, penguins, and a huge range of native birds. 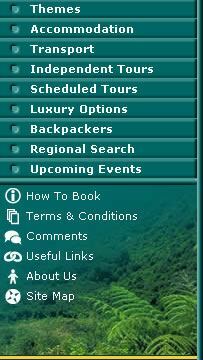 Hot air ballooning, skydiving, parapenting and gliding are all available activities in New Zealand. There is also a huge range of flightseeing opportunities. Auckland Is New Zealand's largest city known as the 'City of Sails'. Attractions here would include anything from yacht and harbour cruises to winery tours on one of the nearby islands. Rotorua Is known at the geothermal hotspot, there are spouting geysers, acrid-smelling mud pools bubbling and belching, and warm geothermal pools and ponds that create a kaleidoscope of colour. Wellington The capital city of New Zealand where you can view the New Zealand Parliament buildings or Te Papa, New Zealand's national museum, on Wellington's waterfront. Marlborough The Marlborough Sounds is renown for its 1500 km's of coastline, The Queen Charlotte Track, Dolphin Watching, fishing and a peaceful retreat. Christchurch 'The Garden City', also includes the Canterbury region where you can do anything from Garden tours to the world famous Tranz Alpine train journey. Franz & Fox Glaciers Living remnants of the ice ages carve a spectacular landscape on their advance from the vast snow and ice fields of New Zealand's Southern Alps to their terminal face just 300 metres above sea level in the lush rainforests of the beautiful West Coast. Queenstown 'New Zealand's Adventure Capital', you can do anything from Bungy Jumping down a canyon to Jet Boat riding on the Shotover River. Dunedin 'The Edinburgh of the South" known for its wildlife.